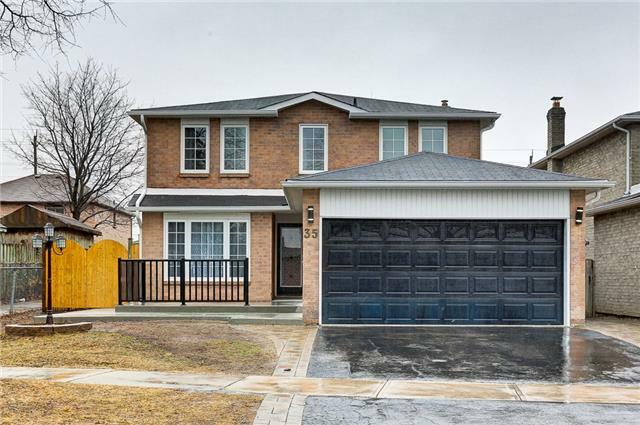 Absolutely Stunning, Renovated Form Top To Bottom, Flawless Finishes 4 Bdr 4 Bathrooms, Modern Concept, Perfect Location Close To Schools, 401, Shopping And Much More. This Home Is Ready To Move In. Modern Kitchen, Backsplash, Pot-Lights, Flooring, Wrought Iron Doors And Stairs. Poured Concrete Front And Back. Extra Rec Room On Upper Floor. Stainless Steel Appliances, Huge Backyard, Living And Dining Combined. Family Room Excellent Condition.